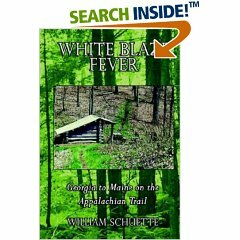 Recommended if you hike the A.T. but don’t plan to thru-hike…..
10 b/w photos 75 maps 5 x 7 Complete descriptions of 170 great day hikes on the AT Easy-to-read topographic maps and elevation profiles for each hike Plants, wildlife, and historical points to see along the way From the spruce forests of Tennessee and the leafy gorges of Virginia to the rolling Pennsylvania hills and the rocky heights of New England, the Appalachian Trail offers 2,200 miles of hiking opportunities. The five books in this series present accurate, detailed information for 170 day hikes (and a few overnighters), all recommended by AT experts. Where to start and finish, water sources and shelters, early exit options, and what to expect on the trail itself are described. Specially commissioned easy-to-read-and-use topographic maps and elevation profiles accompany each recommended hike; mileage data, the best direction to travel, route difficulty, and sources for additional maps and information are also included. Each book points out natural and historical features plants, trees, animals, landforms, bridges, vistas that make the recommended hikes special. 37 hikes in New Hampshire and Maine. Birdshooter’s Take: These books are particularly useful to anyone that does a lot of one and two day hikes along the Appalachian Trail. Most guidebooks don’t have profile maps, but these have both a profile and a trail map in the book. There is also other useful information that you don’t always find in a guidebook including recommended campsites, loop options (if you want to use some blue-blazed side trails to loop back to your starting point), and a summary of the itinerary in a mileage format. My Recommendation: Buy this book over the ATC books. There’s more detail and they have trail and profile maps. Recommended if you plan to thru-hike…. 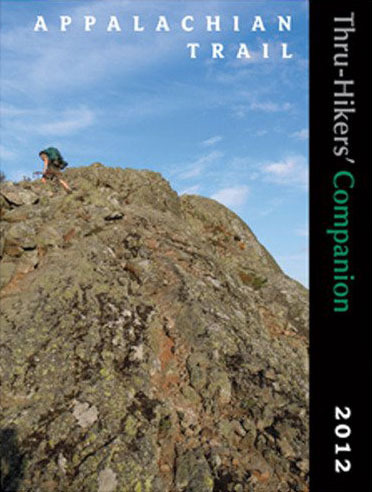 Compiled, written, and edited for the Appalachian Trail Conference by volunteers of the Appalachian Long Distance Hikers Association (ALDHA), the Appalachian Trail Thru-Hikers’ Companion is intended for those making thru-hikes but also is valuable for those taking shorter section-hikes. The Companion provides you with details on towns and services along the Trail. Birdshooter’s Take: The ATC Companion is another great information resource for the thru-hiker and the combined resources of ALDHA provide a variety of view points on shelters, campsites, towns and nearby facilities to the A.T. My Recommendation: Get either the Thru-Hiker’s Handbook or the ATC Companion if you plan to thru-hike, but don’t buy both. They contain the same information. Twenty-fifth edition of the indispensable quick-glance guide to hiking the Appalachian Trail. It condenses all the major features of 11 guidebooks into one slim volume, updated each fall after the dedicated volunteer caretakers have finished building new shelters or moving the footpath to better locations. The 2003 edition keys mileage and landmark information to official A.T. maps and guidebooks, with coded guides to shelters, towns, water sources, lodging, and eateries–both north-to-south and south-to-north. 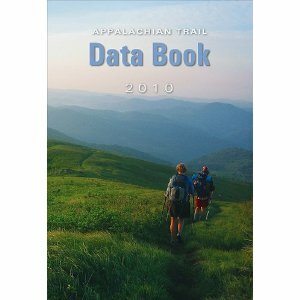 Birdshooter’s Take: The Appalachian Trail data book has the most current trail information available on the A.T. The format is written for both the northbound and southbound hiker and the mileage is listed in itinerary format. My Recommendation: You don’t need this book unless you plan to thru-hike, but for long distance hikers it is a better purchase than all the individual ATC books which are more cumbersome to pack and interchange as you make your way north (or south). Also, the ATC Companion has similar (although less detailed) mileage information and many thru-hiker’s I know relied on it over the A.T. Data Book. Containing not only the advice distilled from the experiences of successful thru-hikers, this is also a write-on, rip-out-the-pages workbook of checklists, overnight stops, maildrops, etc. Food, equipment, money, weather, shelters, distances to towns–it’s all covered. Excellent companion to The Appalachian Trail Conference’s series of 11 official guidebooks to the Appalachian Trail. The book provides a general overview of the many issues that face Appalachian Trail thru-hikers. It is well-organized, beginning with the trail’s history, moving through planning and equipment/food, injuries and first aid, etc. Also covered are animal issues, sanitation and etiquette. The final chapter lists some information about portions of the trail which might be interesting to those who only wish to hike certain pieces of the trail. Most useful are the appendices, which provide necessary information about equipment manufacturers, Post Offices near the trail, ATC trail-maintaining clubs and maps. TREK is the story of four young men and the people they meet as they attempt to hike the 2,168 miles of the Appalachian Trail from Georgia to Maine. This documentary is shot and edited by the hikers themselves, and is the most accurate portrayal of Thru-Hiker life that has been produced to date. Spanning 14 states and five months, this critically-acclaimed film will inspire you to follow your own dreams, no matter what the odds. 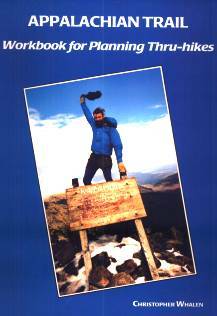 North To Katahdin was eight years in the making and is a shimmering portrait of the journey. The cinematic tour de force presents a tapestry of challenges, transcendant beauty, personal triumph and intimate reflection. From the Spring flowers in the Southern Appalachians to some of the world’s most daunting weather conditions on Mt. Washington, North To Katahdin bears witness to the importance of preservation of natural resources. Inspired by Bill Bryson’s A Walk in the Woods, director Douglas Morse and producer Heide Estes traveled to the southern terminus of the Appalachian Trail in Georgia. They became fascinated with all of the hikers they met. From Jack, who got stuck with an angry dog, to Malice and Kentucky, the Cheech and Chong of the A.T., to Matt and Angie, who planned to get married on the trail when they reached Pennsylvania. On the first day out, Estes and Morse met Chad, an easy going guy in excellent shape who found himself tempted to walk off the trail after just a few days. Hikers like Chad become our eyes and ears on the six month journey to Maine’s Mount Katahdin, more than 2000 miles from Springer Mountain in Georgia. A Walk in the Woods: Rediscovering America on the A.T.
Birdshooter’s Take: Bryson only hiked 800 miles of the A.T., but this book is still a good laugh and a great read. The author is an excellent adventure writer and this book is enjoyable whether you are a hiker or not. My Recommendation: It was a New York Times best seller for a reason. Check it out. In 2000, Leslie began to train for a grueling journey – a thru-hike of the 2,000 mile Appalachian Trail. In Beauty May She Walk chronicles Leslie’s hike. As the terrain toughens, Leslie struggles to physically keep up with the trail community she depends on socially to keep going. She realizes the difficulty of maintaining her obligations to family and friends while focusing her efforts on putting one foot in front of the other, every day. After September 11, 2001, she copes with being seemingly the only hiker on the trail for miles, eventually forcing her to change her definition of “hiking her own hike”. Birdshooter’s Take: This is one of a number of books that chronicle a thru-hiker’s adventures on the A.T. It is unique, however, since Leslie Mass completes a ‘flip flop” hike starting in Pennsylvania, hiking north to Katahdin, and then walking south to Georgia. 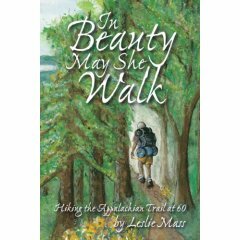 Leslie provides a very candid account of the thru-hiker experience, and the book will be particularly interesting to any backpackers who are considering “hiking their own hike” and bucking the “Georgia to Maine” trend that 90% of thru-hikers follow. Leslie (also known as “Gotta Hike”) is among a growing number of adults that are 50+ in age that tackle the A.T. Her perspective may be particularly interesting to these individuals who are one of the largest sub-groups of thru-hikers on the trail. “Model T”–the alter ego of retired Marine Corps officer Tate–tells the story of “their” three thru-hikes in the 1990s with an unusual eye for detail and an ear for laughs. Despite the length, this one is a fast-moving keeper for long-distance hiking veterans. William Schuette (Trail name: Mountain Slayer) was born in the small hamlet of North Star, Ohio, and caught the hiking bug while on a vacation with his family in the Shenandoah National Park. Following a thirty-year career in education, Bill retired and succumbed to “White Blaze Fever” as he fulfilled his long time dream of thru-hiking the Appalachian Trail. Learn about hiking the Appalachian Trail as you play the Trail Magic game. Fun and fast moving play is created by a combination of multiple choice trivia questions, chance, food rations and questions about your trail mates. The game is designed for groups of 2 or more and ages 10 and up. Start at either Springer Mountain in Georgia, the southern end of the trail or at Mt. Katahdin in Maine at the northern end. Pick up rations at food stops, cross your fingers that the bears don’t eat your food, and answer trivia questions as you try to make your way to the other end of the trail. The game board shows many of the important landmarks and towns along the trail as well as watercolor illustrations of a few sites. 140 trivia cards as well as 60 environmental hazard & hiking community cards are included. A portion of proceeds from the sale of Trail Magic benefits the Appalachian Trail Conference, which maintains the Appalachian Trail.